It's time of Semi-Annual Sales. 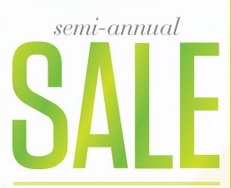 Get some information about Athleta's Semi-Annual Sale: take up to 60% off retail prices. Offer is valid at US Athleta locations and online on the official website. Source of the information is Athleta. Time limited offer. More information about the Sale at stores or online.